Are you ready to put your cheer skills to the test? But, not ready to commit to multiple practices weekly or attend several competitions per season? Then TGA Beach Cities’ award-winning competitive cheer program is the perfect fit for you! It’s a great opportunity for cheerleaders to experience competitive cheer in a less stressful setting. We practice once a week for 90 minutes. We end our 10-week season with one SHARP International Competition. 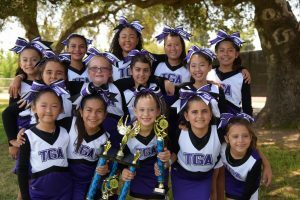 Last spring TGA’s Competitive cheer team won 1st place in their division and Best Showmanship for the entire competition. TGA’s professional cheer instructors teach stunting, tumbling, motions and jumps in small group stations, to improve skills individually. Professional choreography lessons allow teams to rapidly progress though the competitive cheer and dance routines and improve teamwork. We highlight each season with a pizza party and an award ceremony BEFORE the competition. At that moment TGA cheerleaders realize what they’ve achieved in such a short period of time. The SHARP Competition becomes a showcase and celebration for their hard work. As a sports parent myself, I’ve attended many events with my children. Nothing is more fun than the performance and seeing a team dance and cheer their way into the hearts of the crowd. 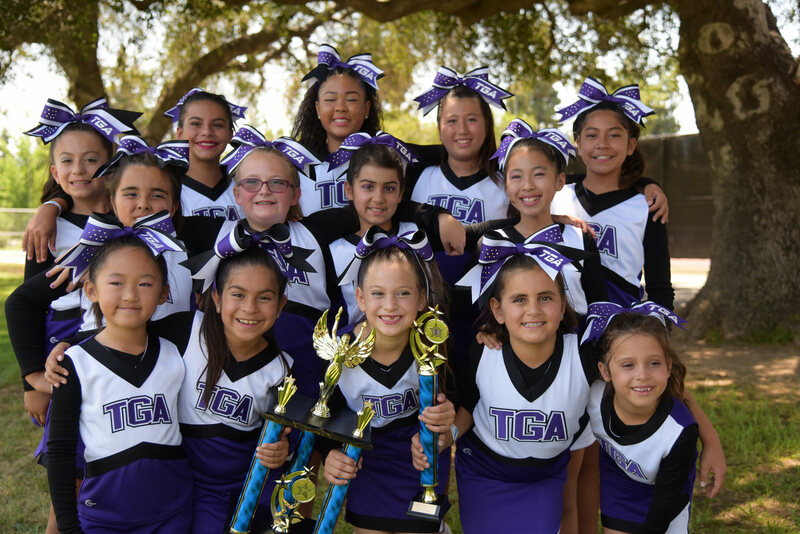 Join TGA Competitive Cheer this season and become part of our award-winning team. Polliwog Park, Manhattan Beach – Starting Sept 27th – Thursdays, 4:30pm – 6:00pm Sign Up Today! Lomita Park, Lomita – Starting Sept 21st – Fridays, 4:30pm – 6:00pm Sign Up Today!